Soon after Dorothy Ellinor entered FHN's hospice program, her daughter, Diane Dietmeier, found 20 embroidered quilt squares in her mother's linen closet. Dorothy had always wanted to make a quilt with them, but hadn't quite gotten to it. Pragmatists at heart, the two looked at each other and said, "We better get going." Dorothy passed away from breast and lung cancer in January of 2016. For the last three months of her life, she chose hospice care at her home. This crafty lady was convinced that entering hospice did not mean spending your days dying – it meant spending your days living to the fullest. With the help of her children and the hospice staff, she turned the experience into a quilting bee of sorts. Family and friends came to work on her final project, a king-size quilt for Diane, made of those embroidered quilt squares she had made over the years and hadn't yet put together. 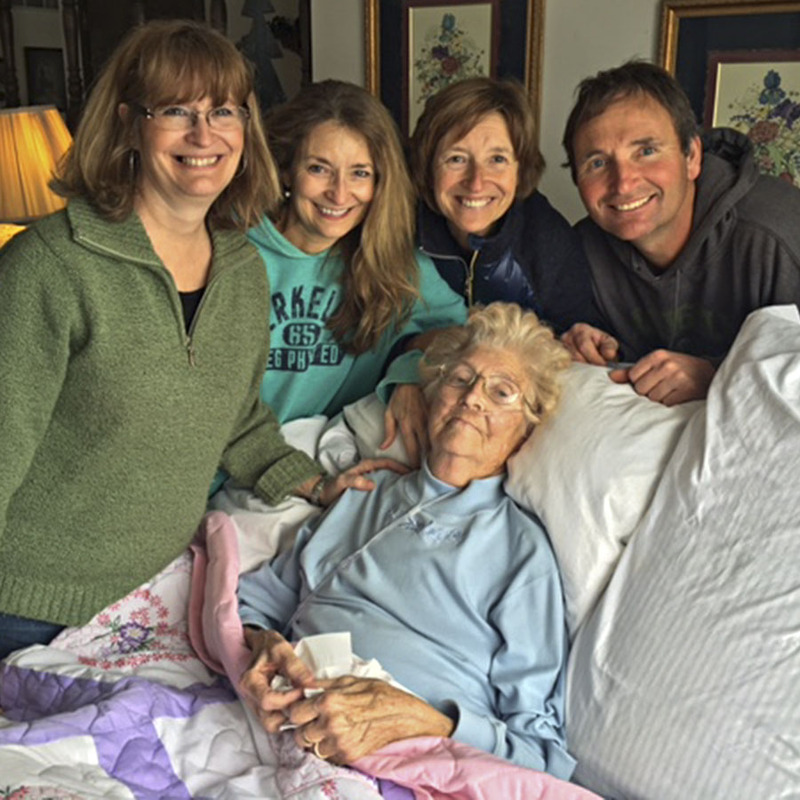 Diane shares, "Mom was determined to stay at home and was so happy it was possible with the help of hospice. She was relieved to not have to go out to doctor's appointments anymore, and the hospice team did a great job coordinating her care, keeping her comfortable, and helping our family meet Mom's final requests. We would recommend them to anyone seeking a more pleasant and comfortable transition for their loved one in his or her last weeks and months." Read more about Dorothy in Insight magazine.